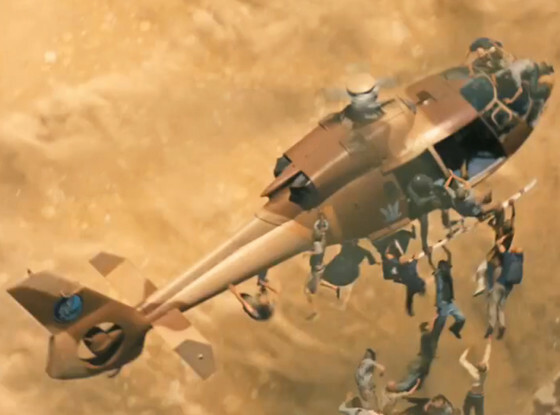 Paramount sent us a brand new clip from the upcoming zombie movie “World War Z” by director Marc Forster (Machine Gun Preacher, Finding Neverland, Quantum of Solace) and starring Brad Pitt (Happy Feet 2 in 3D, Megamind, Inglourious Basterds, Fight Club), Mireille Enos (The Killing, Big Love) and Matthew Fox (Alex Cross, Lost, Emperor). Synopis: Ten years after the human victory over the world wide Zombie epidemic, referred to as World War Z, Max Brooks scours the world collecting the stories and experiences of those who have survived the conflict that almost eradicated humanity. Follow @Shockya on Twitter for the latest movie news and more from “World War Z” and Brad Pitt.